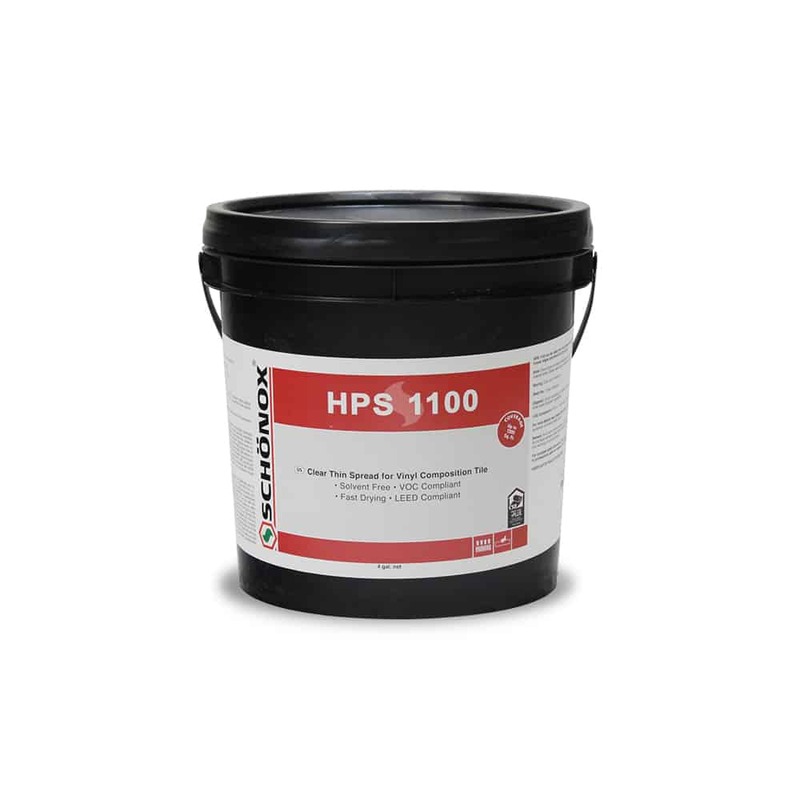 Schönox HPS 1100 - HPS North America, Inc.
Clear Thin Spread Acrylic Adhesive suitable for bonding of Vinyl Composition Tile on porous and non-porous substrates in interior areas. Solvent-free, quick dry time, and extended working time. Ready for immediate foot traffic, heavy traffic after 2 hours. Up to 90 RH/11 pH. Faster cure time, loading in 24 hrs.